We are bracing for a snowstorm later today which would have put a damper on my Boxing Day adventures had I intentions of visiting the malls and shops but as most of you know by now, I usually avoid the crazed shopping scenes. Boxing Day has always been a day of rest in the Lemontree household, enjoying all the goodies Santa brought and settling in to watch a few of our fav films. Good luck to all the shoppers and bargain hunters braving the crowds and the cold. I will be waiting for you on the couch, snuggled up with a soft blanket and popcorn, waiting to press play! We would have been in Florida now but our cat-sitter had to stand by her brother at the Mayo clinic who had heart surgery. So we are home as well. Here the temperature is dropping fast into a freeze for tonight with mean blowing winds. Staying cozy is all I want. Hope you enjoyed a peaceful Boxing Day. We had a little bit of snow, but not much. Enjoy the remains of 2012 - hope you have a wonderful New Year. Cheers, my friend! It didn't snow as much as expected but we had a cozy evening in nonetheless! I hope you had a wonderful Christmas and a relaxing Boxing Day. My husband and I ran a couple of errands and noticed the malls & stores weren't nearly as busy as we imagined. We shopped a little and went to lunch... Today, we're finally getting a little snow. Hope you had a happy Boxing Day!! Merci, for your lovely comment. 2013 here we come! 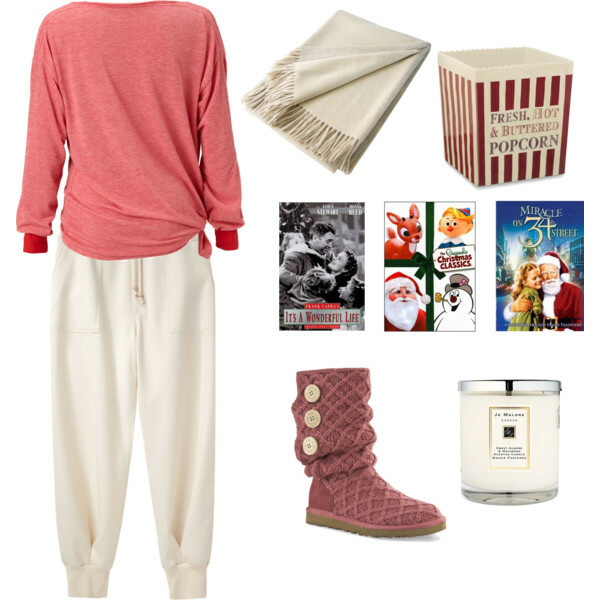 Ha, that's definitely a snuggle worthy outfit perfect for movie night.